Ophiopogon are grassy hardy perennials that reach heights of between 15 and 30 cm. They have long narrow dark green or purple leaves, and bloom in the middle of summer with small blue or white flowers. They then bear fruit with bluish black berries. Some common names for Ophiopogon include Jaburan, Mondo grass, Snakesbeard and Lilyturf. 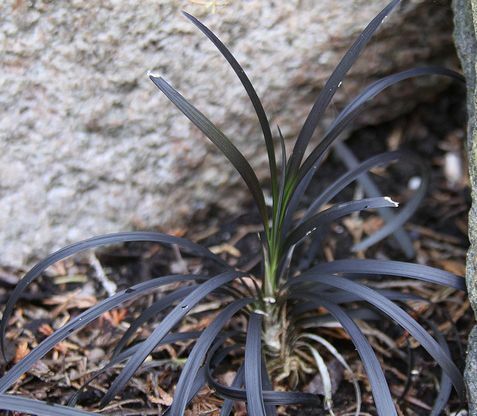 Ophiopogon planiscapus (nigrescens) by Drew Avery. Ophiopogon japonicus picture by wallygrom. 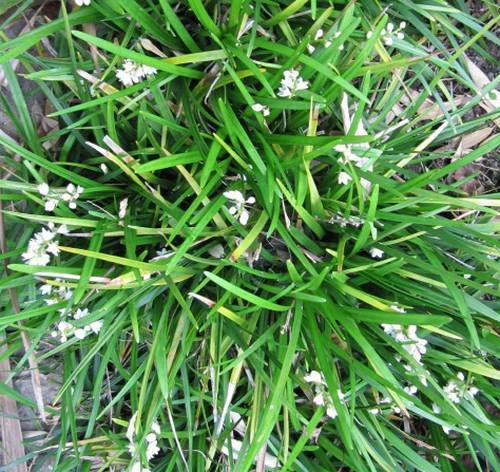 Common Names: Mondo grass, Fountain plant, Snake’s beard, Jaburan, Lilyturf. Height: 6 to 12 inches (15—30 cm). Native: East, Southeast and South Asia. Flower Details: Racemes on short stems. White or blue. Tiny. Foliage: Grass-like. Narrow, flat, strapped. Green, purple or black (Ophiopogon planiscapus ‘Nigrescens’). Sow Outside: 1/4 inch (6 mm). Autumn. Sow Inside: Germination time: 4 to 6 weeks. Temperature: 65 to 70°F (18—21°C). Seeds should be soaked for one day. Sow in flats. Maintain at the above temperature. Seven or eight weeks before expected last frost. Transplant outdoors following the last. Spacing: 4 to 12 inches (10—30 cm) dependent on species size. Requirements and care: Partial to full shade. Will also grow in full sunlight in cooler areas. Any soil type, drainage condition. Can survive in dry soils. Little care required. Tidy plant appearance by cutting back at the start of spring. Divide after four years to maintain vigor. Propagate: by dividing in the spring autumn. Miscellaneous: Named from the Greek words for Snake (Όφις ophis) and beard (πόγὦν pogon) because of the appearance of its leaves and tufted growth. Ophiopogon japonicas is traditionally used to address deficiencies in Yin in Chinese medicine. Ophiopogon can be sowed outdoors in the autumn at a depth of 7 mm. They have a preference for slightly shaded conditions but Ophiopogon species are able to grow in sunny and fully shaded conditions too. As they can grow on any type of soil Jaburan are very versatile plants for use in the garden. When growing Jaburan and related species indoors the seeds should first be soaked for a day in warm water, then sowed in flats and allowed to germinate at between 18 and 21 degrees Centigrade. 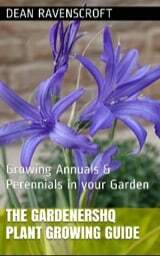 Plants should be prepared about two months before they are due to be put out after the last frost of spring; it takes Ophiopogon from 4 to 6 weeks to germinate. Once ready transplant outside with a spacing of 10 to 15 cm (small species) to 30 cm (large species). Once established it is a good idea to tidy up Jaburan (and other Ophiopogon genus) plants in the spring by trimming them. Every five years or so the Ophiopogon plants should be divided in the spring to maintain vigor, and also to propagate more plants.